CADEX Armor,develops the most sophisticated armoring designs and uses 3-D, CAD software, which allows virtual development of the integrated armoring cages prior to manufacturing. Our design experts are capable to integrate the various levels of armor perfectly into the existing vehicle structure, ensuring a precise conformance to the vehicle body resulting in better structural integrity and aesthetics in the finished product. All of the armoring materials used on our vehicles have been certified by H.P. White Laboratory, Inc. (a highly regarded US independent ballistics testing laboratory). Dependent on the base vehicle, CADEX Armor vehicles are equipped with heavy duty shock absorbers, springs and swaybars for conventional suspensions for the kinetic dynamic suspension system, or for automatic high control suspension. Reinforced body mounts are placed between body and chassis for a better driving stability. Upgraded coil springs, heavy duty shock absorbers, upgraded stabilizer and sway bars improve the armored vehicle performance and handling in both on and off road environments. Reinforced and additional body mounts are placed between the chassis and body for an increased driving stability. 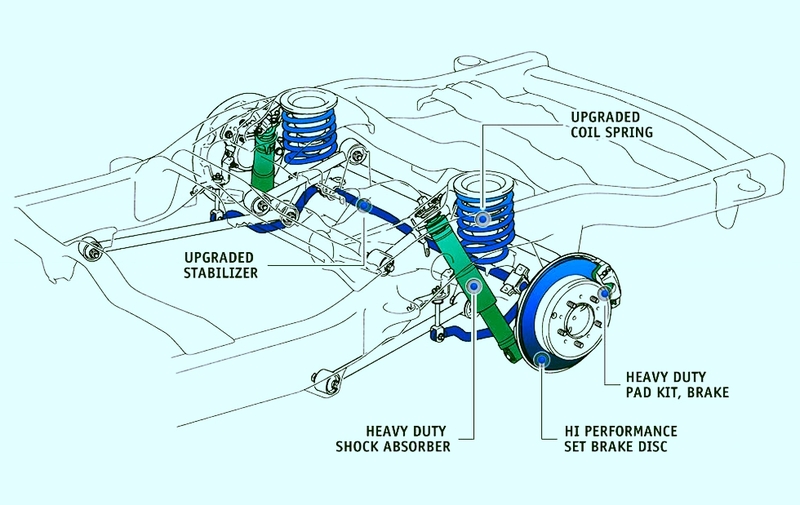 Premium braking upgrades include slotted heat resistant rotors, ceramic brake pads, performance rated multi piston calipers, braided brake lines, and higher rated brake fluid. All designed to minimize overheating of the braking system, and to enhance safe controlled stopping. All CADEX Armor vehicles are equipped with Hutchinson® wheel run flat systems to enable the vehicle to get from a hostile situation to safety even if the tires are punctured. All CADEX Armor, vehicles are equipped with Hutchinson® wheel run flat systems to enable the vehicle to get from a hostile situation to safety even if the tires are punctured. The Hutchinson® Composite run flat, also known as the Hutchinson CRF - is a lightweight reinforced polymer device designed to provide flat tire mobility when used with pneumatic tires. CRF run flat devices are designed to US Army and NATO/FINABEL speed and distance standards of 50km/h (30 miles @ 30mph).